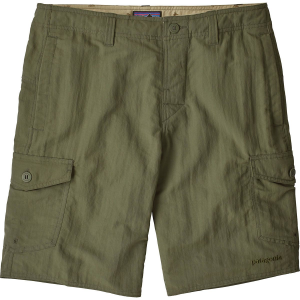 With their ability to handle all of your warm weather adventures, the Patagonia Men's Wavefarer 20in Cargo Shorts will quickly become your official shorts of summer. 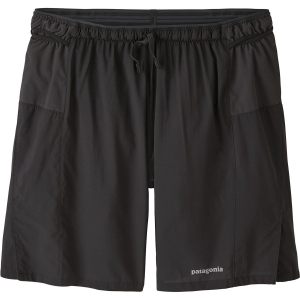 The lightweight, quick-drying nylon fabric keeps you comfy in sweltering temps and is tough enough to withstand the rigors of trail life--all while it sporting a DWR finish to repel unexpected drizzles. 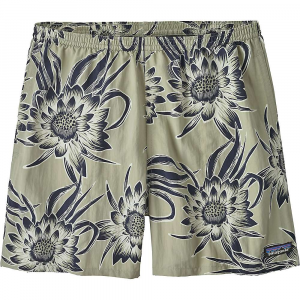 And should you come across a pristine pool on a hot afternoon, the Wavefarer Cargo Shorts are never opposed to taking a plunge. 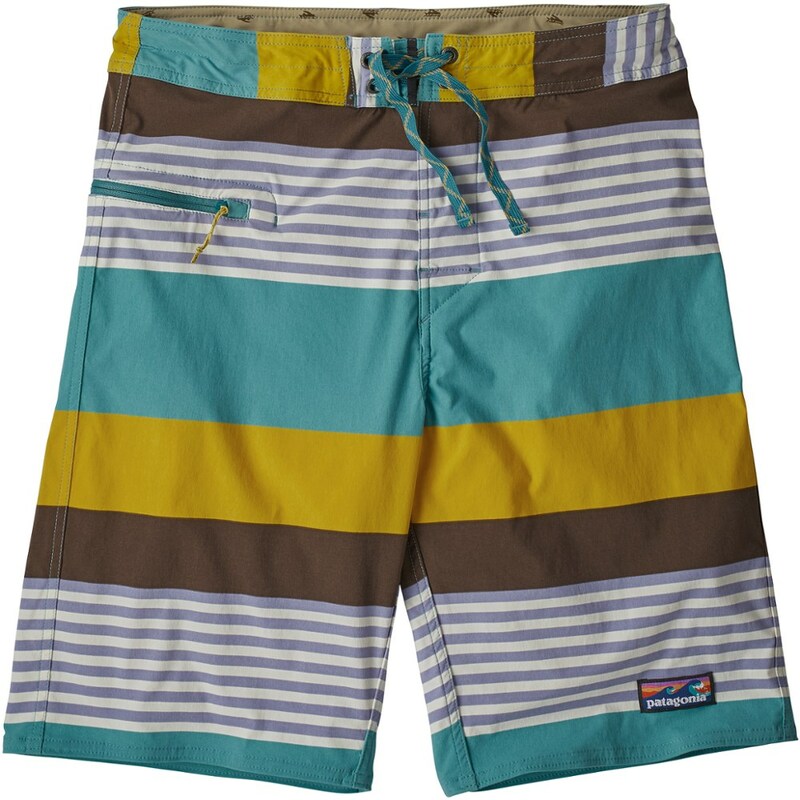 Now made from the same durable, quick-drying 100% recycled nylon as Patagonia's Wavefarer Boardshorts, the Wavefarer Cargo Shorts blend water-friendly construction with functional cargo short styling. 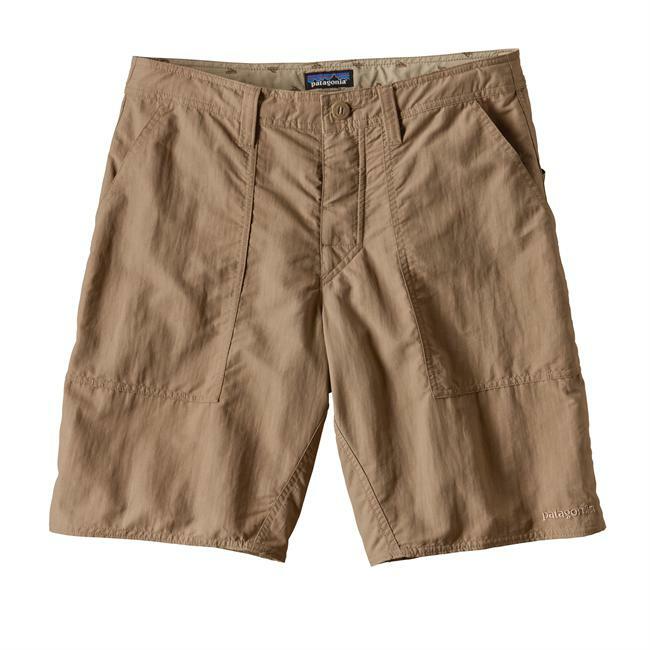 A DWR (durable water repellent) finish, 50+ UPF sun protection and bartacked interior drawcord give them excellent performance for warm-weather surf travel; belt loops and button-closure side cargo pockets add go-anywhere utility; the flat-lying rubber button fly and closure provide comfort in almost any situation. The two front slash pockets have self-draining mesh pocket bags; zippered rear security pocket has self-draining mesh pocket bag, internal key loop and corrosion-proof zipper. 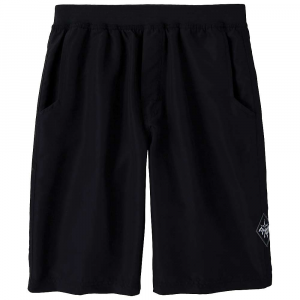 Made from the same durable, quick-drying 100% recycled nylon as our Wavefarer(R) boardshorts, the Wavefarer Cargo Shorts blend water-friendly construction with a functional cargo short design. The DWR (durable water repellent) finish, 50+ UPF sun protection and bartacked interior drawcord give them fast-drying performance for warm-weather surf travel; belt loops and button-closure side cargo pockets add go-anywhere utility; the flat-lying rubber button fly and closure provide comfort in almost any situation. The two front slash pockets have self-draining mesh pocket bags; zippered rear security pocket has self-draining mesh pocket bag, internal key loop and corrosion-proof zipper. Outseam is 20".